Do you have Christmas lights that won't be any use for another year? Check out this super funky DIY garden chandelier by Candie Cooper! 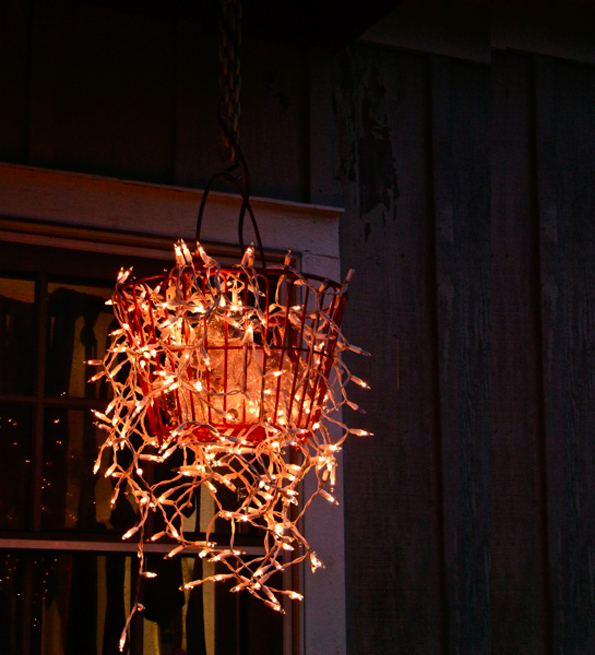 Looks like a very sweet and easy garden chandelier to light up your summer evenings! In 1 Egg basket, wrap 1 bundle of Chrstimas lights. Fill with clear glass ornaments and you're done!